Too many consider climate change to be a future threat that we can ignore today while hoping our children and grandchildren will deal with the problem. (Hey, Uncle Jack and Mike B.! How are you guys doing?) 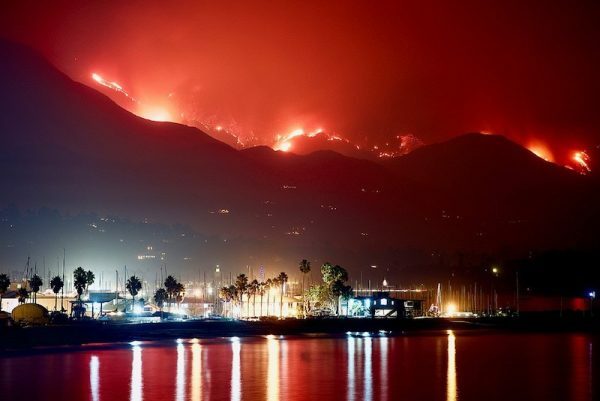 While that mindset regrettably dominates domestic politics in the US, recent events in California are proving just how wrong and costly that approach is. Early in December the Thomas Fire exploded in the southern California foothills and, fueled by hot, dry easterly Santa Ana winds and a landscape parched by years of climate change-exacerbated drought, quickly threatened large parts of Santa Barbara and Ventura counties. 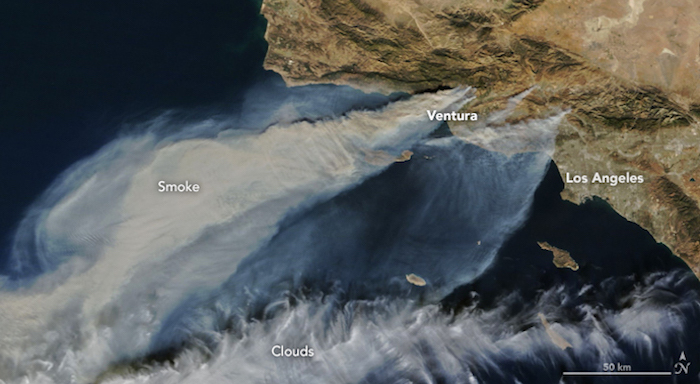 The fire, on its way to becoming the largest in the recorded history of California, took lives, destroyed more than 1,000 structures, directly threatened major population centers in Ojai, Ventura, Carpinteria and Santa Barbara, and made the areas not directly at risk nearly unlivable due to dense smoke and falling ash. Faced with this devastating reminder of our climate future and fortunate enough to be mobile, I decided to head east for the fresh mountain air of the Sierra Nevadas. I’ve spent much more time on the Eastern flank of the Sierras over the years, including recently on the John Muir Trail and the Big SEKI Loop. 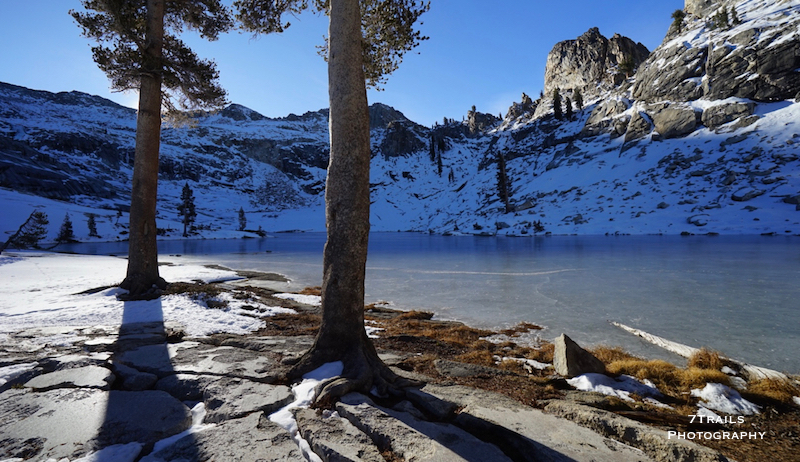 My trips in the Sierras have also largely been confined to the summer and fall seasons. 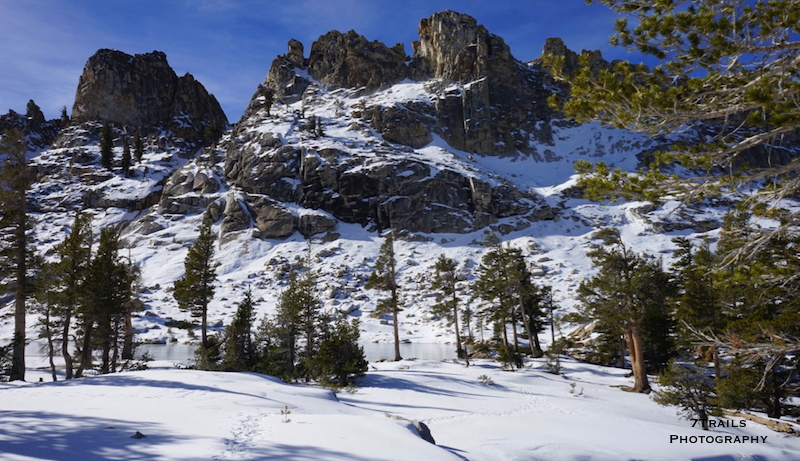 Despite the unfortunate circumstances back on the coast, it was great to have a chance to explore new parts of the Sierras in winter. My destination for this adventure was Sequoia National Park, an area rife with enough short and long distance trails to keep a hiker busy for years. 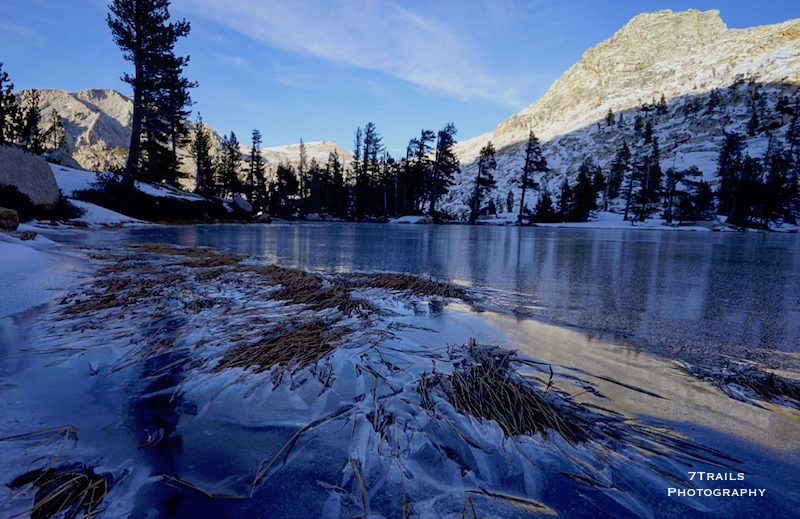 My target for the trip was a pair of short overnighters: Twin Lakes and Pear Lake. Permits are necessary for both hikes year-round, but in the off-season they can easily be obtained by self-registering at the kiosk outside the Giant Forest Museum, which lies just a few miles from either trailhead. The Twin Lakes Trail was the first stop on the itinerary. The trail begins at the Lodgepole Campground and ascends quickly toward the Jennie Lakes Wilderness, where the pair of small lakes for which the trail is named are nestled below Silliman Pass. 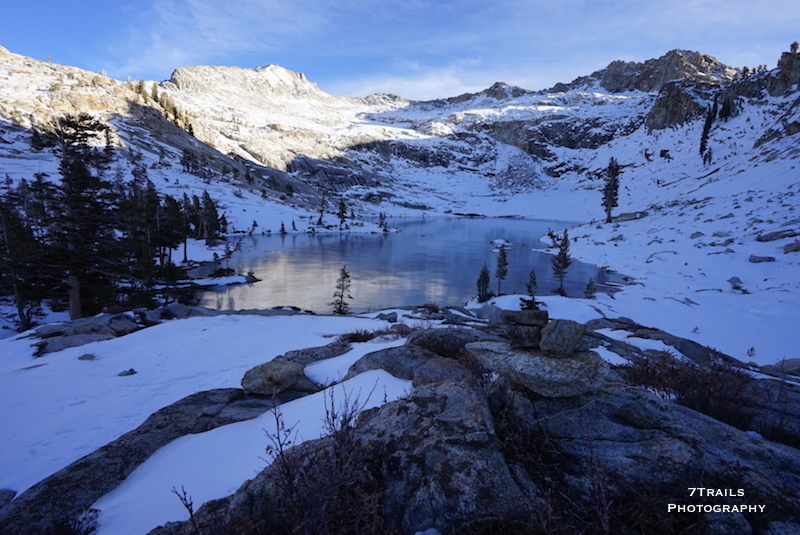 This late in the season the short hike was was sporadically covered in snow on the mountains’ western flanks and the lakes were largely iced over. 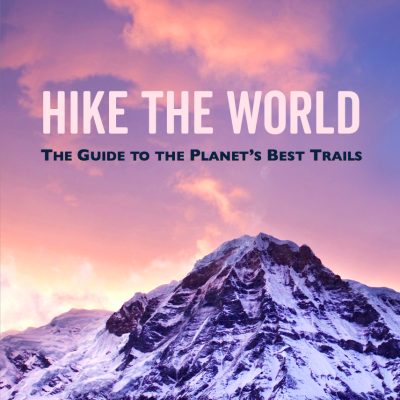 The trail conditions made for a pleasant and varied hike, while the shifting and creaking of the ice sheets under the sun’s watchful gaze added audible evidence of the encroaching depths of winter. 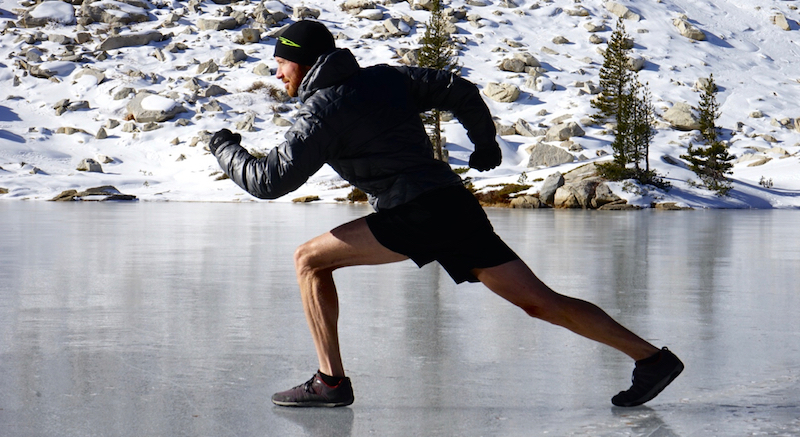 The second stop on the trip was Pear Lake, a gorgeous alpine pool covered with a solid layer of ice. 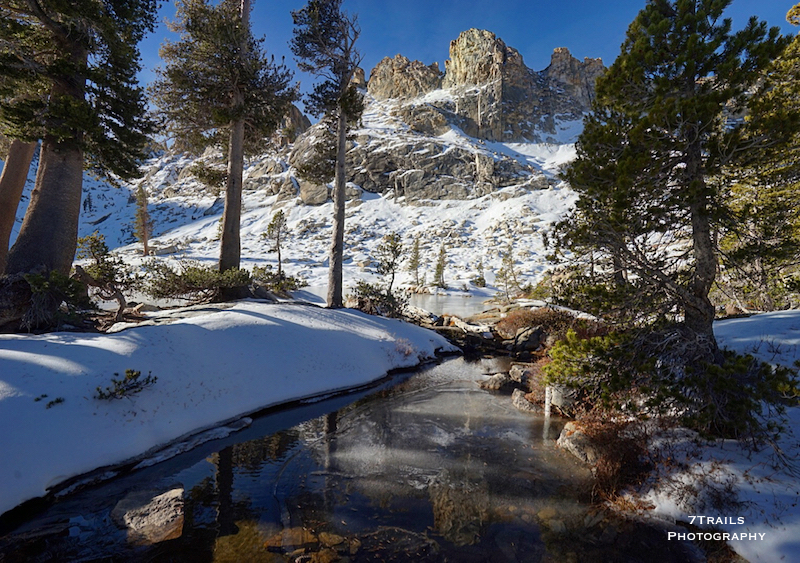 The Pear Lake Trail is a beautiful out-and-back that starts at the Wolverton Picnic Area and over the course of just under seven miles ascends steadily from 7,300 ft to over 9,400 ft.
View of Pear Lake from camp. My time on the trail consisted mostly of a lazy stroll through imposing redwood and pine forest, dry meadows, and towering granite that deposited me for a single cold night on a snow-covered shelf overlooking the frozen lake. All in all, the pair of hikes delivered a refreshing escape from the fires that continued to rage back on the coast.